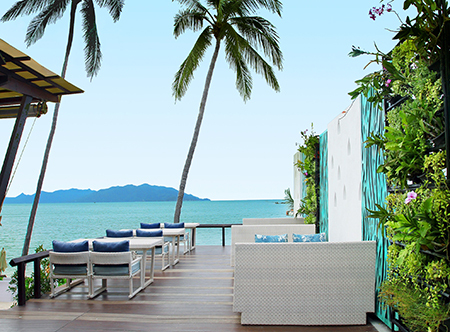 Situated on Koh Samui's northern coast at tranquil Thongson Bay, where guests have access to a private beach, this secluded retreat is 15 minutes drive from the hustle and bustle of Chaweng and a few minutes drive from local bars and restaurants. 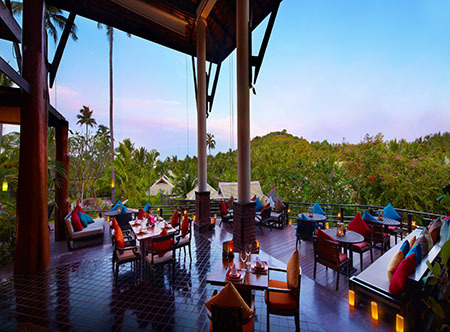 The resort combines a tropical landscape with traditional southern-Thai architecture, elements of fengshui and modern day chic to create a perfect pampering environment. 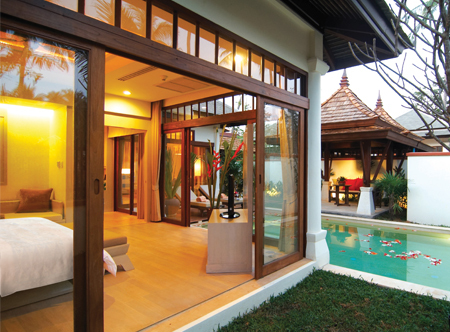 The striking contemporary rooms complete the exclusive feel of the resort, while the highly recommended pool villas offer total privacy. 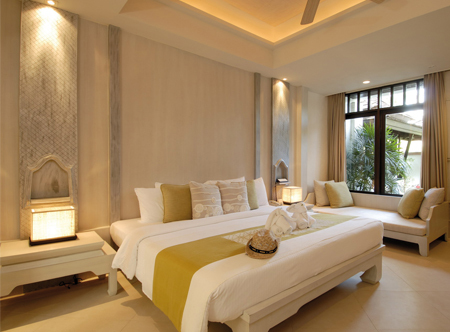 In grand deluxe rooms with air-conditioning, bath and separate shower, DVD, mini bar, safe and balcony with bath on the first floor or on the ground floor with private terrace and garden. Breakfast. Half board, Full board and all inclusive available. 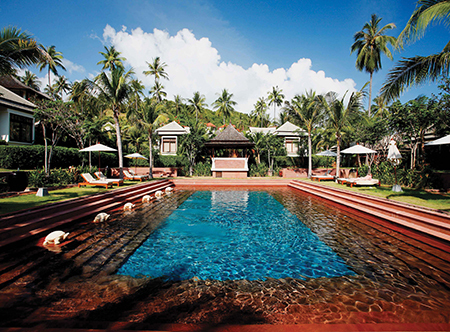 10 minutes from Koh Samui airport. 01 Apr 19-31 Mar 20 when parents pre-book half board or full board children under 12 years old will receive free half board or full board (max 2 children). 01 Apr 19-31 Mar 20 if you stay at least 5 nights receive fruit basket, flower arrangement and sparkling wine. 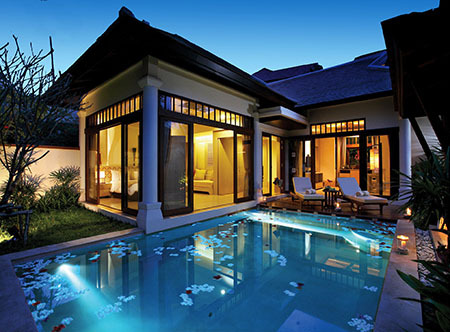 If you stay at least 10 nights also receive one free dinner for two. 01 May-30 Jun 19 16- 31 Jul19 16 Aug-19 Dec 19 07 Jan-31 Mar 20 if you book at least 90 days before arrival. 01 May-30 Jun 19 16 Jul-19 Dec 19 07 Jan-31 Mar 20 if you book at least 45 days before arrival. 01 Sep-23 Dec 19 07 Jan-31 Mar 20 if you stay at least 14 nights receive one dinner (set menu, drinks excluded) per person per stay.